I first met Michael on the water before the 2007 Laser Master Worlds in Roses, Spain. It was a practice day with a really strong offshore breeze that someone called the Spanish Hammer. I wrote in my worlds journal about winds of 40-50 mph, small sand dunes forming between the boats on the beach, and how we won’t sail in these conditions. But on this practice day, three of us did: Michael Nissen (GER), Wolfgang Gerz (GER), and me. It was great fun and a little crazy. 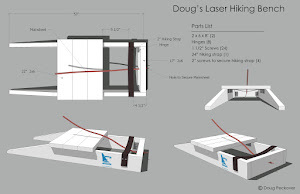 Michael finished 2nd that year and this year won his first Laser Master World Championship as a GGM. Here’s how he did it. Please let me start by writing about my preparation for Laser Master Worlds in Split by confessing that I am still working almost full time. That limits my opportunities to go sailing, especially training in the boat. While my time in the boat is not as much as it should be, I usually attend the gyms in hotels during business travels. For decades now, I have done power training regularly at home. Power training includes the legs and arms, front and reverse sides, and the core body in all four directions. Especially with squats, I still go to high loads from time to time. Besides that, I found race-biking as a new sport about 8 years ago, now doing about 3 to 4,000 km per year. I would say that I am doing sports in one way or the other about every second day. I dare to state that this keeps me fit. Fitness in the boat though is usually lacking when I am traveling to big races. I have a hiking bench at home that I use frequently before racing to adapt the muscles to the static load of hiking after having trained in the gym or on the bike. In the old days of Finn and Starboat sailing, I used to set up a list of weaknesses that should be trained. I still do that in my mind today, but the list is much longer now. For example, I think that my heavy air tacks are lousy. That could trained very nicely on on Lake Garda (400 km away) if the time were there. Winds here on Starnberg Lake, south of Munich, are usually light. My gybes in light wind are also bad. Therefore, whenever I sail I try to do to tacks and gybes to improve. I am totally convinced these are the easiest meters to gain! Have you ever lost against a young guy starting to do repetitive gybes before the lower mark? 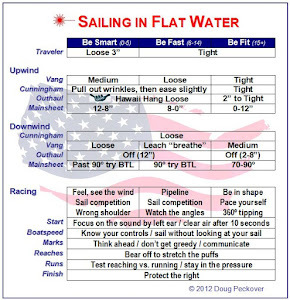 In general the list of weaknesses not only contain boat handling but also wave and weather patterns. (For some reason I almost never make the early tack on a persistent and continuing shift. I always hope the shift comes back...). In the old days I loved to sail in heavy air. I still love it but it does not love me anymore. One of the reasons is the light air here in my home region. Sometimes, I discover some completely new things that the young guys do when I am watching videos or listening to talks. When I started Laser sailing, sailing by the lee was such a thing. It took me years to half way learn that. Torquing the body in coordination with steering up and down and adjusting the main sheet at the same time is a thing that I would love to learn. In the Finn and now in the Laser, I can only do it with a certain wind strength and a special wave pattern (and only for a very limited period of time...). The center of Europe is normally a very good place to sail because the Mediterranean (Roses, Callela), the Atlantic, and the Baltic/North Sea are all not too far away. 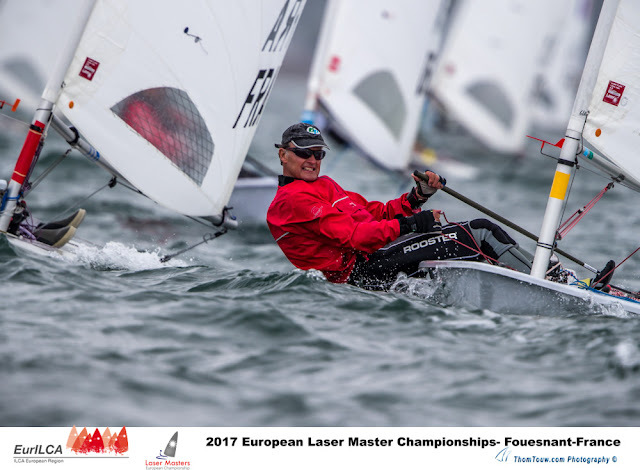 This year I used these opportunities and sailed in Callela, the Europeans in Brittany and the German Masters in Kiel, including a week of training. The conditions in Kiel, by the way, were very much the same as in Split... 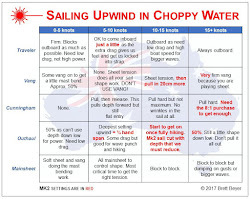 The varying conditions these areas offer, help to develop skills in all kinds of winds and wave patterns. But you need to travel. Time is of the essence! If you don't have to live with the respective shortcomings, which I do. What about the starts during the championship? Concerning the starts, I think we had a very long starting line for the number of boats that were in our fleet. The line usually was very, exactly positioned. Like always, choosing the favoured end was very important. For all races, including the last one, I always took the end which I thought was best. Mark Bethwaite (AUS) chose the opposite boat end for the last race, which I believe was not good). With the small number of boats, there was always space enough to go close to the ends. Surprisingly, it did not pay off to sail out of the boat end, with a little disadvantage hoping for a shift to the right, which I believe the sea breeze could have offered. To my mind in did not make sense to start in the middle (danger of middle line sag!!!) as we had a rather constant wind. Mark and I went into the last race with a one point lead on my side. Also he had to be better than 3rd including being ahead of me. In general, the positive outcome of the championship changed various times during that race. Why then could I perform well in Split? First I was lucky that my training in Kiel was exactly what I needed for Split. Second the wind and wave pattern were almost identical each race. Sea-Breeze coming in at 15.00h. 10 to 15 kn wind from 240°. Usually when you sail a series, the wind direction and wave patterns change substantially. In Split this was not the case. Downwinds we had marginal surfing conditions that offered smaller gains. Upwinds shifts were small and not very often. That way I could sail under conditions that I like and which I can manage.